Get exclusive deals from Uncle Lem's! As "Lem's Loyals" we will keep you informed about amazing deals and events, and you will often receive extra discounts when you show your texts! We will not text you more than one time per week. 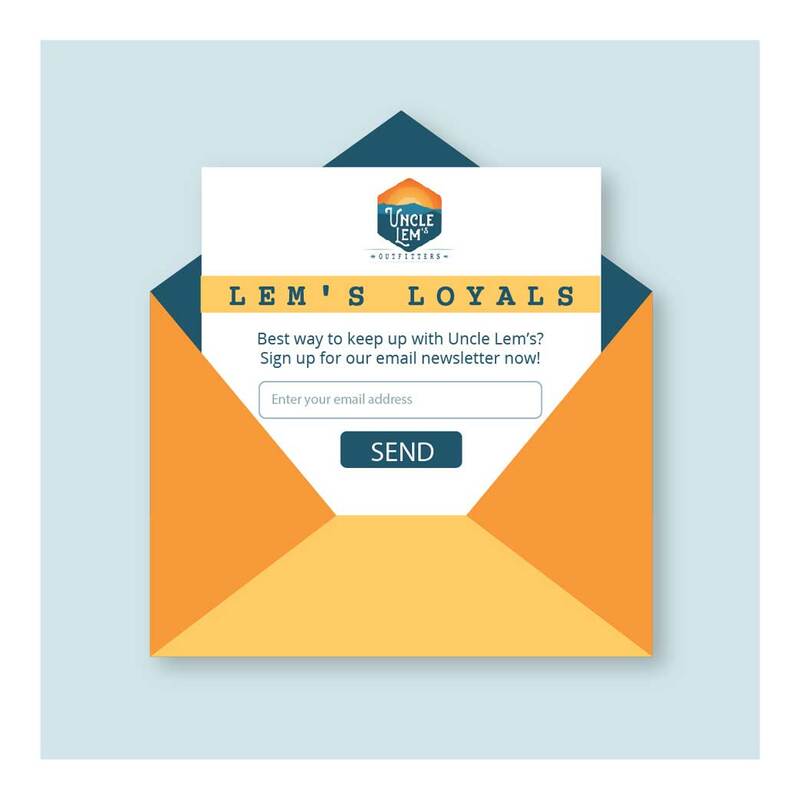 Want to keep up with Uncle Lem's by email? We send out emails twice a month with updates on community events, discounts, and helpful tips on outdoor life. "Opt in" by entering your email address below!